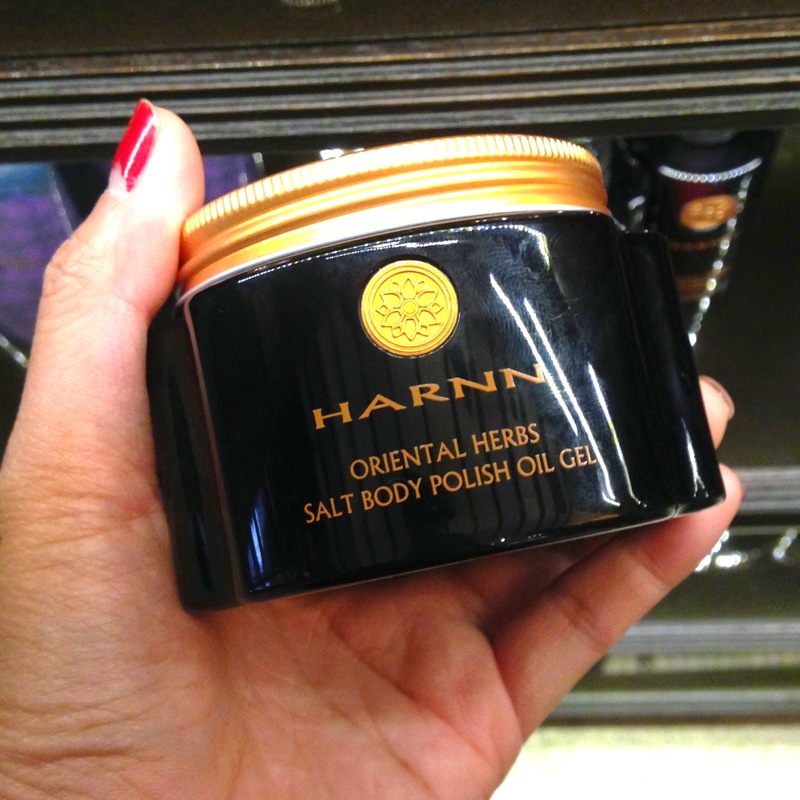 My Shopping Experience at HARNN + My Five HARNN Favorites! A few weeks ago, I was invited by Harnn to visit their flagship store in Glorietta 5. The first time I stepped into the place, it was like I was transported to a spa all of a sudden: The mellow lighting, amber- colored wooden cabinets, and the lingering scent of exotic flowers in the air-I have immediately forgotten about the intense temperature that day and my aching feet when I was inside the store! What and who is Harnn? Paul Harnn is an architect based in Thailand who's known for his talent in architecture. 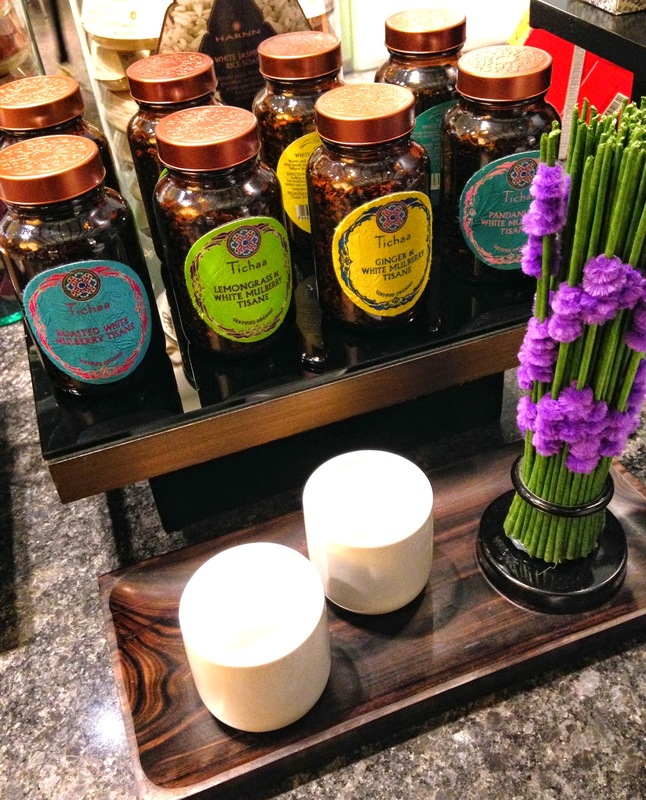 Founded by Harnn himself, the brand started out as a premium, heritage spa in Thailand. 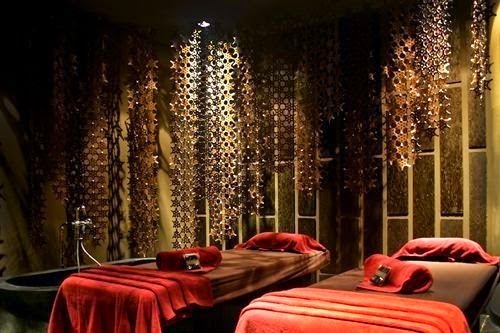 Mr. Harnn's talent for design is reflected very well in his spas that's why it has bagged numerous awards over the years. 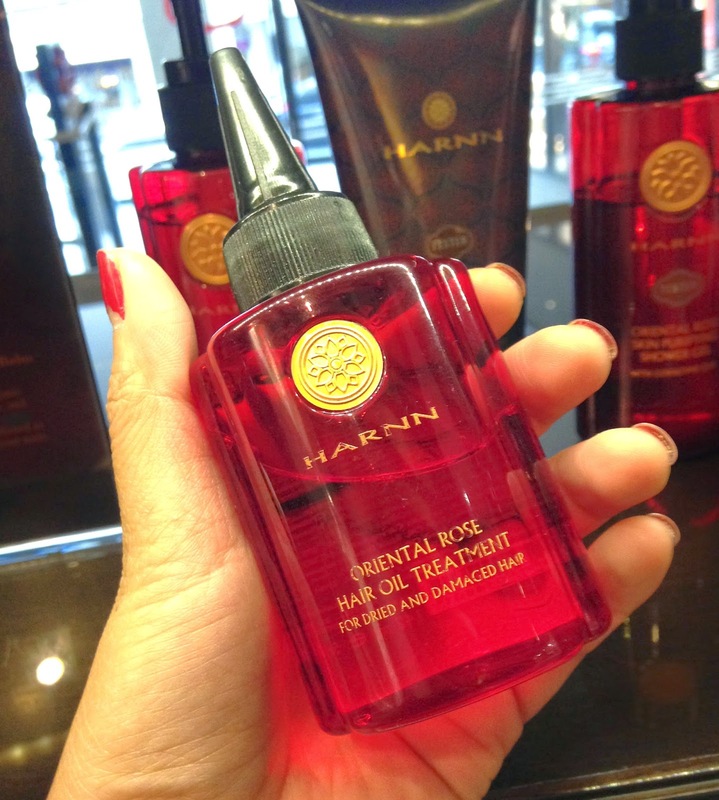 To date, the spa has branches across Asia and the exclusive Harnn products are being distributed globally. Harnn's products are free from mineral oil, Paraben, sulfates, and are made from 100% natural ingredients. Take for example, their Jasmine Bath and Body Collection: It takes about 2 tons of Jasmine flowers to come up with a liter of Jasmine essential oil for this collection alone. It's a premium brand and price range starts at P500.00 for the soaps and P800.00+ for the other bath and body products. The store in Glorietta 5 may seem small, but 'tis very spacious, the design is so clean, and I love how they organized the products: it is very easy to navigate through the collections and even if the brand carries a lot, you don't get overwhelmed. That's the power of good design! 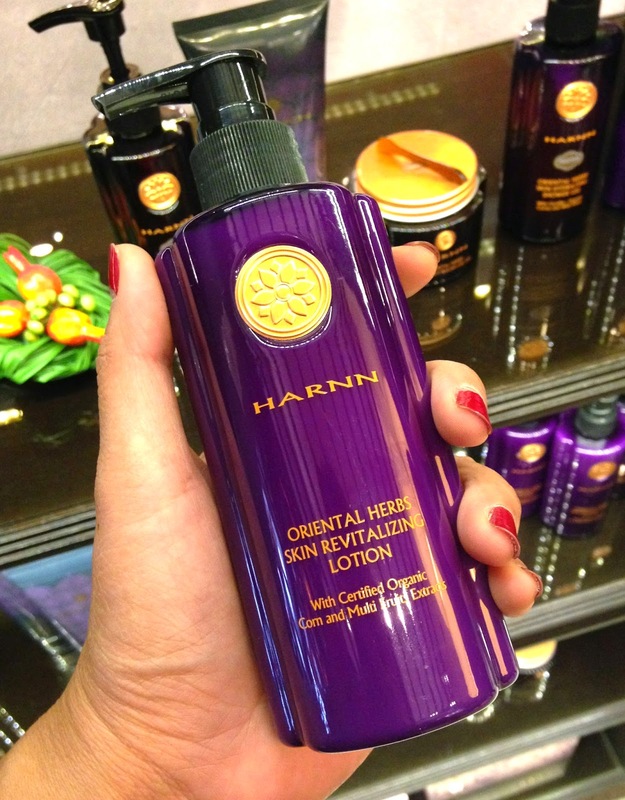 Click READ MORE to know more about this brand, plus check out my five top picks from Harnn! The best- seller in the Philippines, apparently, is the Oriental Herbs collection and I couldn't agree more. It smells so fragrant and uniquely exotic that you won't find any product that smells like it. It smells beautiful, actually. The freshest release is the extensive Water Lily Face Care range that utilizes Water Lily extracts to soothe, hydrate, and stall the signs of aging. Harnn believes that in order to achieve genuine beauty, one must always be in a state of well- being, thus they offer all- natural premium teas too. 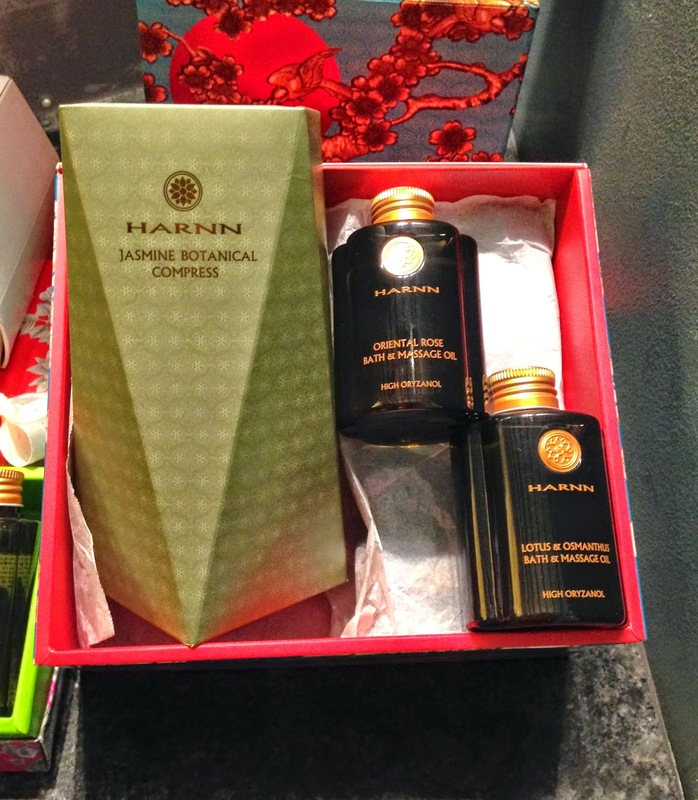 If you wish to have a more personalized experience in the spa, grab one of their premium bath and massage oil blends and bring it with you! …and gift sets as well. As you all know, oil takes out oil and I think this is a good deep conditioning alternative in lieu of silicone and wax- based hair masks. It smells like a rose garden and that's what I utterly love about it! One thing that got me real curious is this product-it's like a traditional 'hot compress' to me. It's made with dried herbs and wrapped in katcha. To use it, you soak it in hot water for a few minutes and then you press it onto the aching parts of your body. I'm excited to try this product! My favorite bath treat lately. It's a super luxurious salt scrub that's very easy to rinse and non- messy to use. 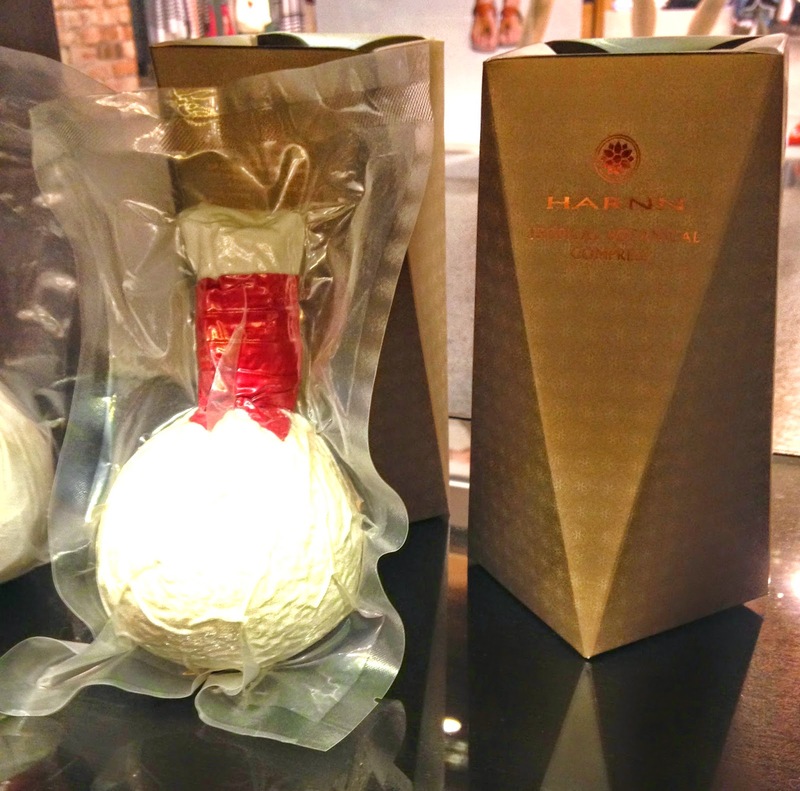 Pricing for the products is just right in my opinion as Harnn doesn't only offer to beautify your skin, but also a sensorial bathing experience that's distinctly Asian. 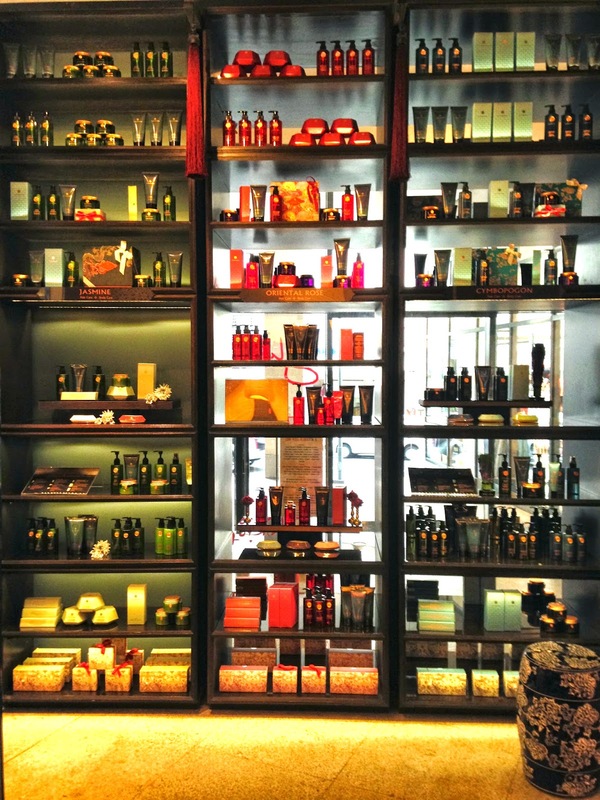 The collections have their very own appeal: when you take a whiff of their products, you don't just smell 'floral', 'woods' or 'herbs', but rather you're taken to a journey into the rich and colorful culture of Thailand, which is another thing that I like about the brand because it shows that they have their own identity. Some Harnn goodies! Which of my top picks are you interested to try? 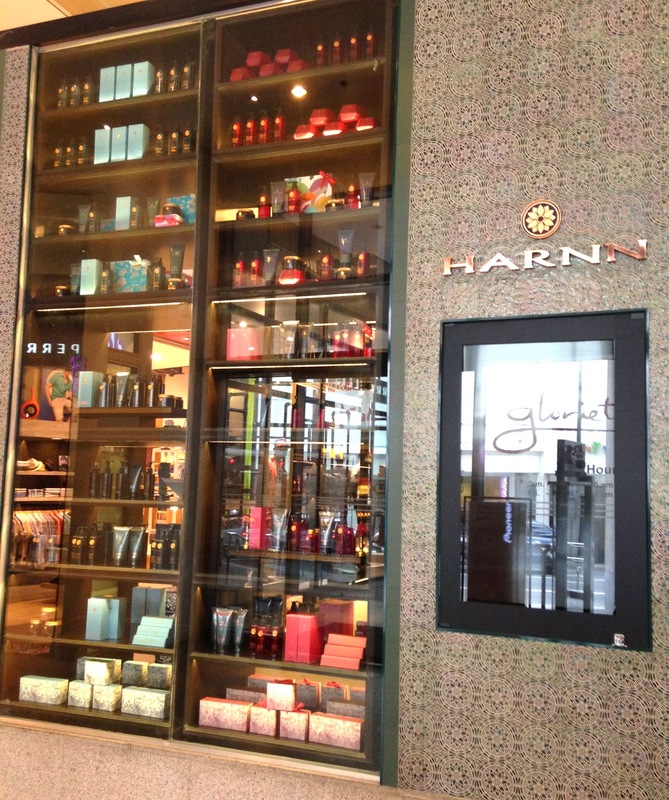 You can find Harnn in Glorietta 5 and SM Megamall. Please visit HARNN PHILIPPINES on Facebook for more information about their products. The place looks very relaxing. Its nice that there are other options to try aside from the ones usual in the market. If I pass it one day at the mall, Id probably wont check this out because it looks very expensive but now that I have learn about this because of this blog, I definitely will! Cincincin: Yup! It's like a spa. :D They have affordable stuff too so please do check 'em out. I have to disagree with the statement that Harnn products are free from silicones and sulfates. I happen to have the Oriental Rose Revitalizing Shampoo and the Oriental Rose Revitalizing Conditioner. I ordered these from BeautyMNL. The shampoo contains Sodium Myreth Sulfate and even if this is coconut/palm kernel derived (as other sulfate-containing shampoos), it's still a sulfate ingredient, albeit a gentler version than SLS. The conditioner has cyclopentasiloxane, amodimethicone, and dimethicone, which are all silicones. If you notice, the "natural" ingredients are at the latter parts of the ingredients list, which means that only a small/little amount/percentage is used in the formulation of these products. The efficacy of these products are because of the sulfates and "cones", which are part of the first 7 ingredients (which composes majority of the product). I think it would be misleading to say that these products are all-natural. Yes, these products contain "natural" ingredients, but it doesn't make up majority of the formulation. Don't get me wrong. I have nothing against SLS or 'cones. I love the feel it gives my hair, especially conditioners and treatments with 'cones that give my hair a good slip. Also, sulfate-containing shampoos are needed when you use conditioners or hair treatments that contain "cones". It helps remove build-up that will make your hair dull. Hope this comment helps. It's not meant to criticize, but to accurately inform about the products.